Join the Manitoba Association for Rights and Liberties as we celebrate our 39th Anniversary! This year’s gala, again will feature live music from the HMCS Chippewa Jazz Ensemble. A great keynote speaker, James Favel co-founder of the Bear Clan Patrol. As well as a cash bar, and appetizers including a poutine bar. We will have a silent auction, with great prizes at the event. All funds raised go directly to supporting MARL’s human right educational programming. 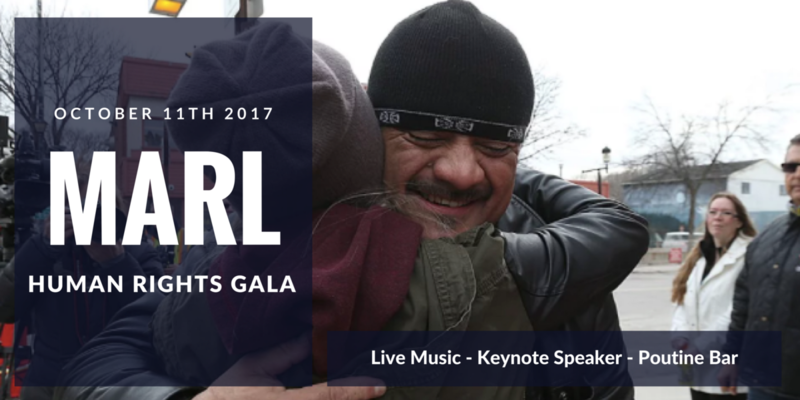 You’re support helps to make the MARL vision of a world where people’s diversity is valued, liberties are respected, and rights are lived a reality.